Why You Should Consider Steel Entry Doors - Home Pro Exteriors, Inc. Homeowners can choose various materials to use for their home components. They also get professional help for roof repair, renovation and other projects to improve their homes. One of the common tasks they go through is picking specific materials for their entry doors. Some depend their choices on aesthetics while some choose functionality over anything else. If you are planning to get a new entry door, you might want to consider steel materials for it. Steel doors are one of the most durable options for an entry door. Home Pro Exteriors shows its benefits below. Compared to other entry door types, steel doors are more affordable. They are also effective when it comes to energy efficiency. Steel doors are also great in keeping cold air inside your property. This type of doors can keep warm air out, especially when you are using your cooler or air conditioner during winter. If you are looking for an entry door that is both functional and stylish, steel doors are a perfect option. These doors do not always have a lot of intricate details for the frames, which is perfect for minimalists and homeowners who want to keep things simple. Similar to when you are looking for a roof replacement, easy maintenance is also a factor when it comes to entry doors. Fortunately, steel doors are easy to clean and maintain. They are usually built with baked-on vinyl or polyester finishing. This makes steel doors durable and sturdy. You only have to worry about repainting, if needed, although some varieties of steel (like stainless steel) are impervious to corrosion. Steel doors also tend to have stronger security locks not to mention being sturdier overall. This will keep your household protected from extreme weather conditions and maintains your privacy. 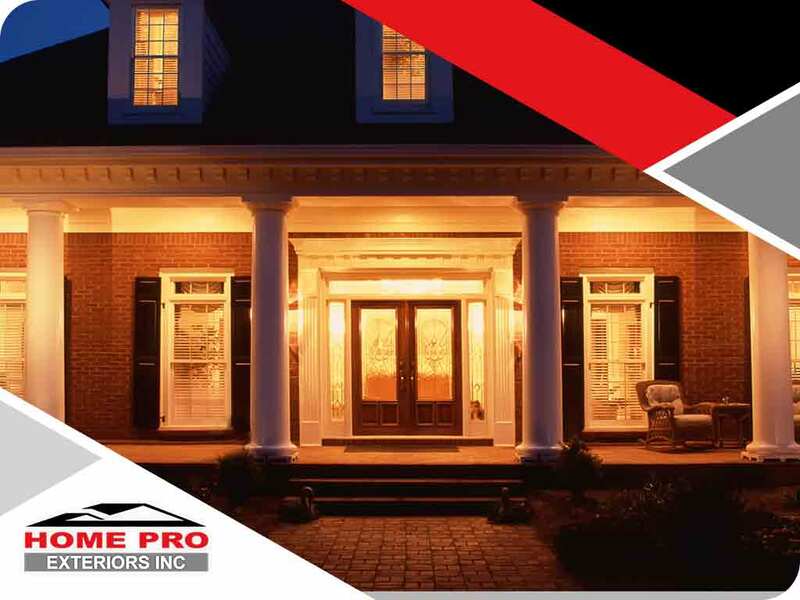 For steel door installations, roof replacement, or siding services, Home Pro Exteriors is the contractor of choice. Contact us by dialing (845) 747-0035 or submit a request using our contact form. We serve Middletown, NY and nearby areas.